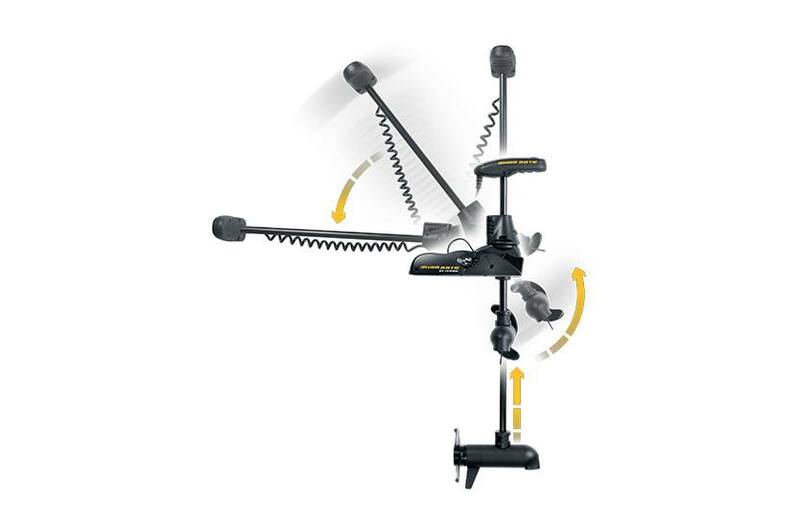 Auto Stow & Deploy: Auto Stow/Deploy lets you get your motor in and out of the water automatically using the included i-Pilot or i-Pilot Link remote, or the redesigned foot pedal. Power Trim: Once your motor’s in the water, Power Trim lets you easily adjust the motor depth for changing conditions, using the included i-Pilot or i-Pilot Link remote, or the redesigned foot pedal. 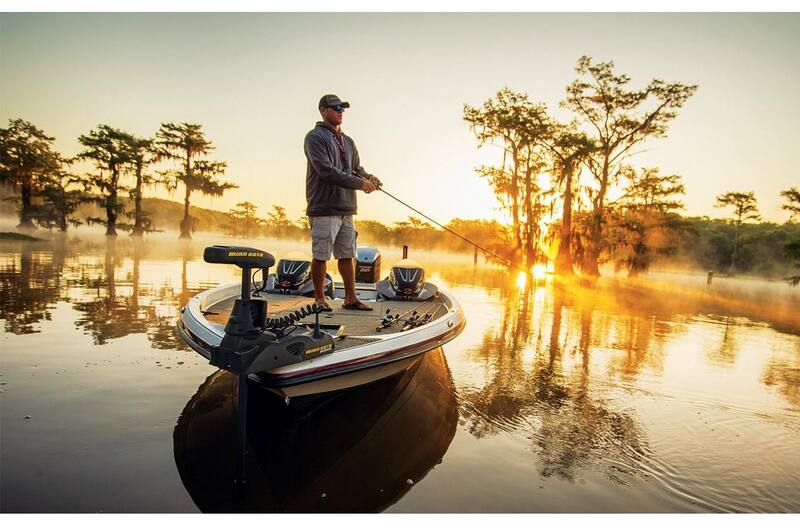 It’s one more way Ulterra handles the busy work, so you can focus on fishing. Ulterra Foot Pedal: A new foot pedal for a new kind of motor. New buttons let you stow, deploy, trim up/down and activate a Spot-Lock in addition to speed and steering controls. Includes 18' cord. Ulterra comes standard with a new foot pedal and your choice of i-Pilot or i-Pilot Link - all redesigned to enable Auto Stow/Deploy and Power Trim. Control those features with the new "mode" button on the Ulterra foot pedal or with i-Pilot and i-Pilot Link remotes. We've also added Spot-Lock to the pedal, making it even easier to stand your ground. Integrated Battery Meter: In addition to showing the remote battery life, your i-Pilot or i-Pilot Link remote will also show you the state of your motor's batteries, so you'll never have to guess how much longer you have on the water. Digital Maximizer: Motors with Digital Maximizer provide up to five times longer run time on a single charge by drawing only as much power as you need, so they don't waste any energy. These motors are variable speed, so dial in your precise speed and let Digital Maximizer deliver the right amount of power, while conserving your battery - extending your time on the water. Advantage Minn Kota: Indestructible Composite Shaft: Pound for pound, our composite shaft is stronger than steel. It flexes on impact and won’t break, kink or corrode. That’s why we’re confident enough to guarantee it for life. 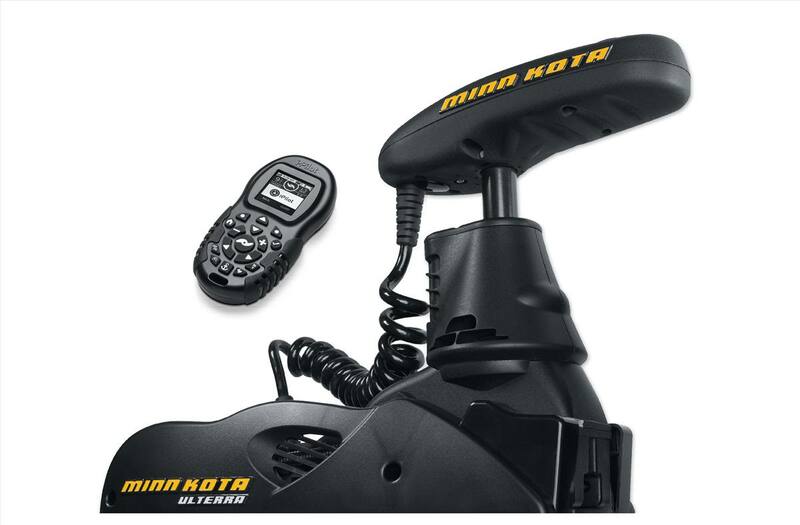 ; Cool, Quiet, Power:Nothing runs cooler or quieter than a Minn Kota. Our extra large windings and commutators dissipate heat, resulting in cooler operation, extended battery power, and longer motor life. And our unique bearing system reduces friction to cut fish-spooking noise.